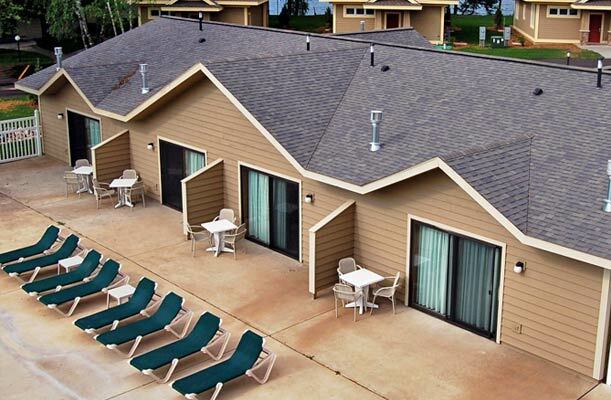 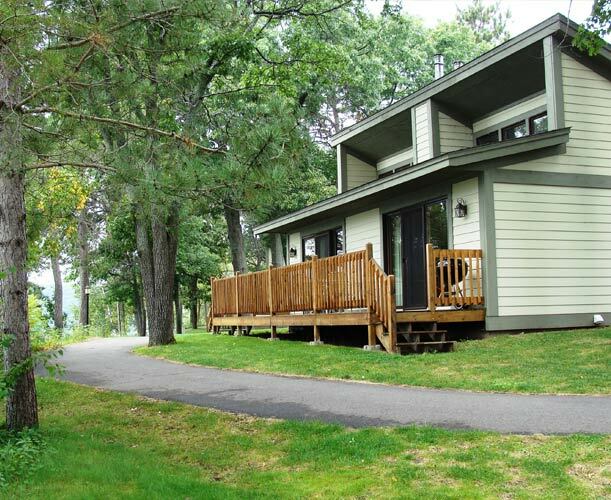 One bedroom individual cottages for 2-5 people. 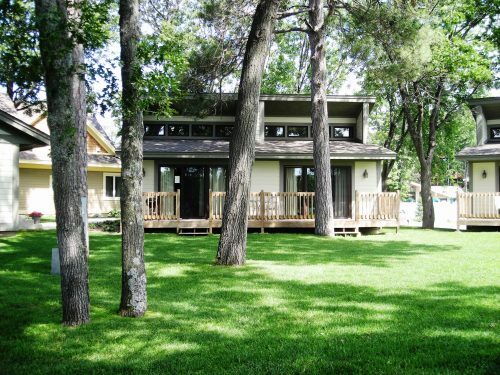 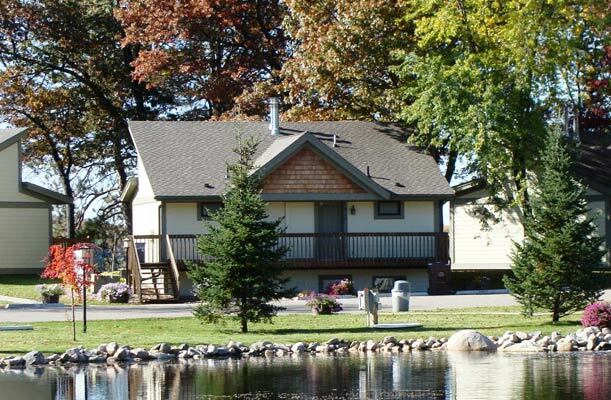 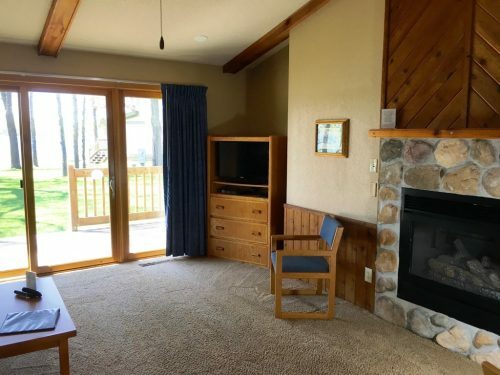 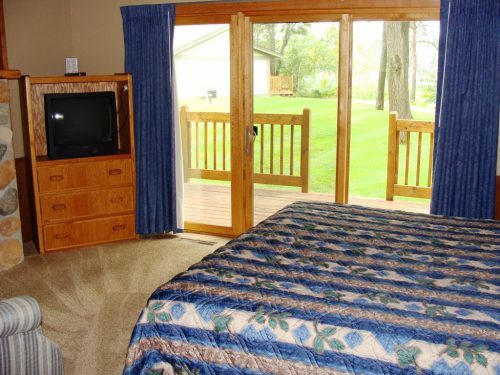 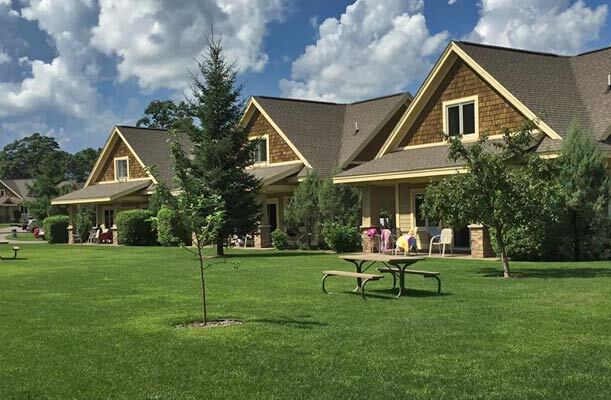 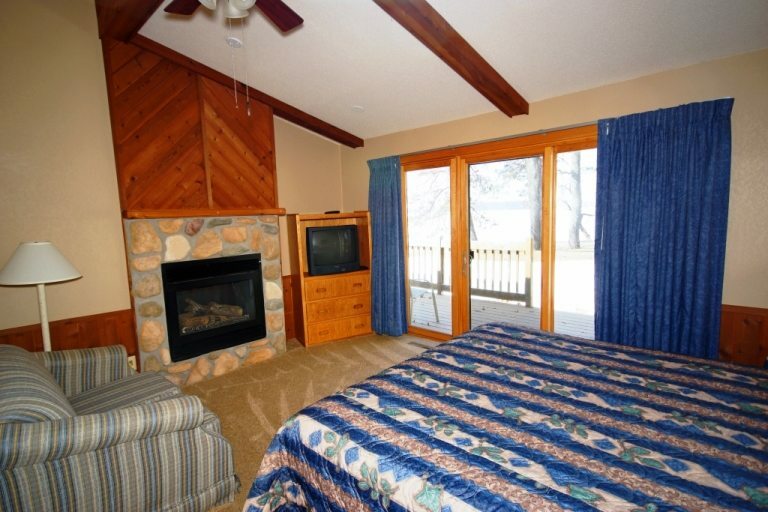 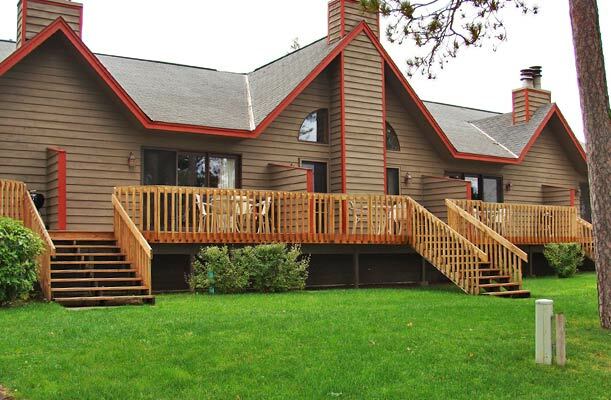 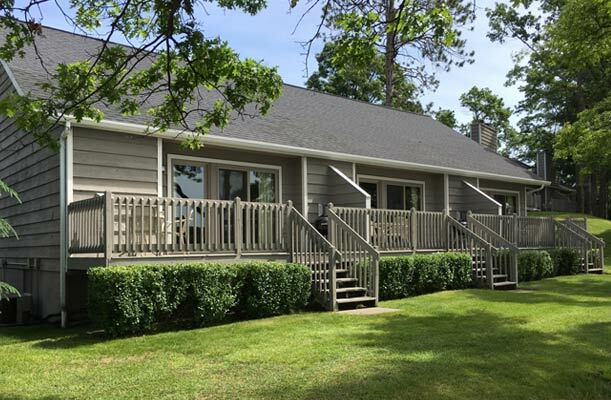 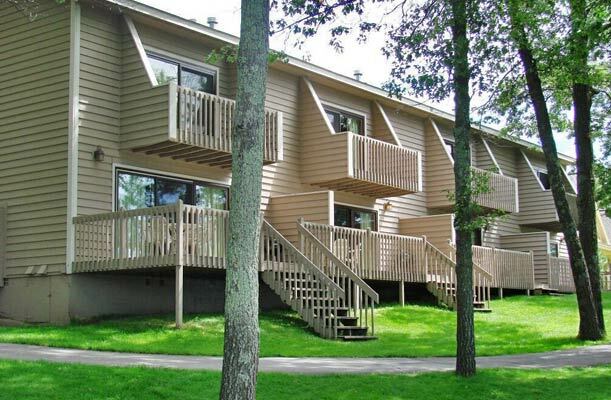 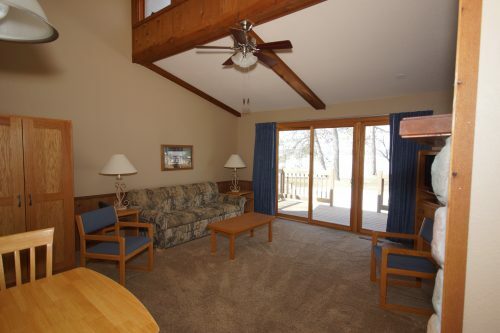 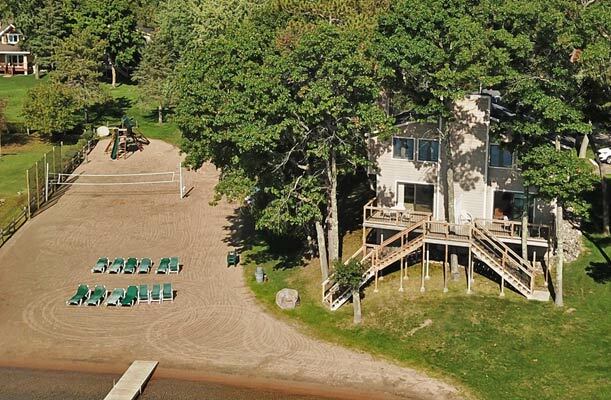 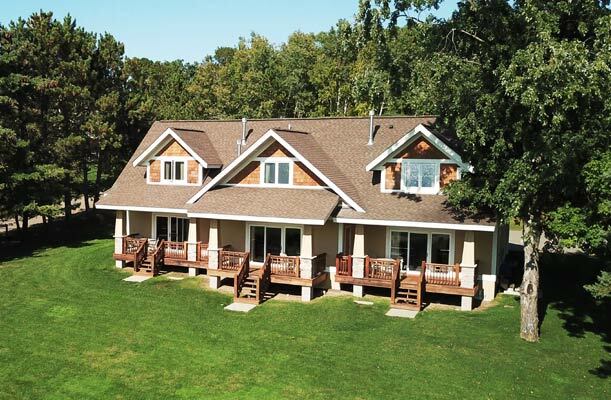 The Oaks have a king size bed, full bath, gas fireplace and twin size hideabed in the master bedroom, plus a separate dining area, kitchen and a living room with gas fireplace, queen hideabed, full bath, lakeside deck and washer/dryer. 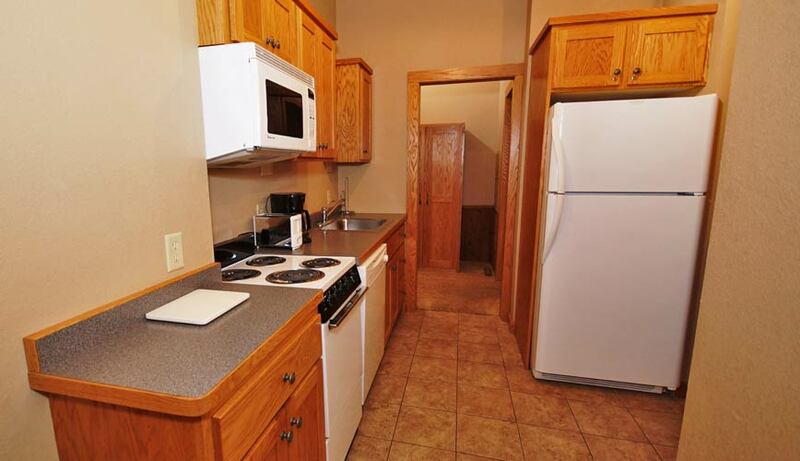 Units also have air conditioning, wi-fi, cable TV, Blu-Ray player, hair dryers, iron w/board, Weber charcoal kettle grill and telephones. 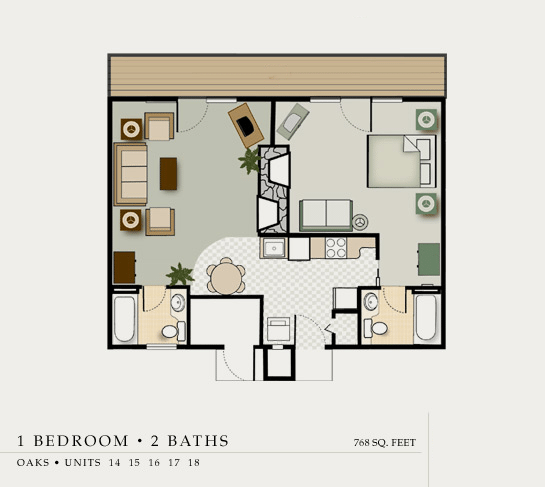 Rates Based On up to Maximum Occupancy of five (5) persons.